Affordable housing—including both rental units and home ownership—remains a substantial issue in Austin. Families and individuals continue struggling with increasing housing costs that consume a disproportionate share of discretionary income, especially for low-income Austinites. Austinites approved two General Obligation Bonds referenda in 2006 and 2013 to preserve and construct ownership and rental units, and rehabilitate existing homes to ensure they are safely up to code and absent of barriers that hinder self-sufficiency. 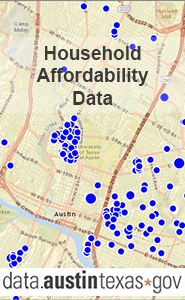 Austin's 2013 Affordable Housing Bond of $65 million leveraged $436,101,913 in outside funding (a 7:1 ratio) and resulted in 2,486 affordable units. More than half of the funding acquired land for home construction and preserved housing for low- to-moderate income households. Roughly 20 percent of funds assisted first-time homebuyers and supported homeowner repair programs to serve low-income seniors, persons with mobility impairments, children who were abused or neglected, and persons with mental illness. 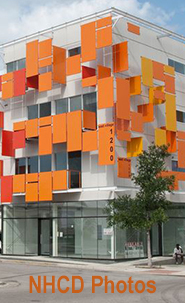 The 2013 Bond Funded Developments and Programs spreadsheet identifies developments that received 2013 GO Bond funds, but not all individual housing units were necessarily funded by the Bond. That is because GO Bonds pay for the construction or preservation of affordable rental units for households earning up to 50 percent of the median family income (MFI) for the Austin-Round Rock Metropolitan Statistical Area and for affordable ownership units for households earning up to 80 percent of the MFI. Check out the list of 2013 Bond Funded Developments and Programs. The 2006 Affordable Housing Bond provided $55 million for more than 2,569 affordable units for rental and homeownership. These funds leveraged an additional $206.5 million in outside funding (a nearly 4:1 return on investment ratio). Nearly 40 percent of the bonds were used to create or retain housing for persons with low-wage jobs, disabilities, or who might otherwise be homeless. Roughly 25 percent of the funding went to first-time homebuyer and homeowner repair programs. The remaining 35 percent served low-income seniors, persons with mobility impairments, children who were abused or neglected, and persons with mental illness.